Do you have an older cat in your household? Thanks to advances in veterinary medicine, a 15+ year-old cat is no longer a rarity. That being said, cats can be considered seniors as early as seven years of age; in fact, wild cats rarely live that long. 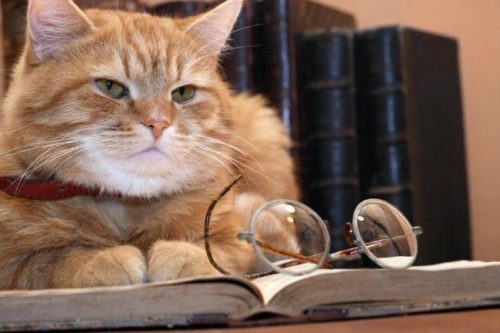 The result is that a cat may spend more than half of his lifetime as a senior. Pay attention to behavior changes. Cats aren’t going to tell you when they are hurt. Quite the opposite: their hunter lifestyle forces cats to hide their weaknesses. One thing that they can’t hide is their actual behavior. Is your cat pausing before jumping on a cat tree? Is he meowing a lot before entering a litter box? 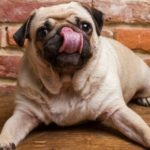 The latter can result from health problems, an untidy litter box, or many other factors. The good news is that you noticed the change and now know there is something to figure out. Whether you do it by yourself or have a vet’s help, what matters is achieving the best result. Make jumping easier. The old cat tree is fine as long as its ropes are still on. Old cats, though, can struggle to jump on or climb that tree. The lowest perch on most cat trees is comparatively high, which can make the initial jump from the floor the hardest. Placing small furniture or a box next to a cat tree is an easy fix. What if you have a baby gate on the way to the part of the house where the litter box is? Maybe you have noticed that your cat, as opposed to its earlier years, now waits for you to open the gate rather than jump over it? It may point to some discomfort about jumping. Add something to step on near the gate. Make everything easily accessible. Do you think your cat drinks enough? Add more water bowls in different locations inside your house. Is your cat occasionally missing a litter box? Add more and disperse them throughout the house. If your cat is on free-choice meals, make the food easier to access, and add more comfortable places to nap. 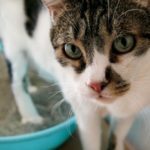 Keeping your cat active is important, of course, but adding more water and more boxes will contribute to his health more than any hypothetical extra steps he has to take to reach one. Take your cat on vet visits. Worth mentioning is that cats of senior age should visit a vet at least twice a year. 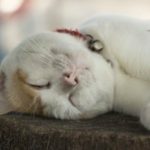 There are several reasons to take a healthy cat to a vet and they only become more applicable when your cat is an oldie. The probability of something going out of order increases with old age, and when something breaks in its system, it’s much easier to deal with when caught early. Talk to your vet about the best visit frequency for your cat. Learn to assess basic wellness signs. Besides taking your cat on regular vet visits, it is also good to know basic cat health examination skills. Is the nose runny, and are all the teeth in place and not covered in tartar? What about that fresh breath? And so on, from top to bottom. The Conscious Cat has a great article about checking your cat’s health at home, but you can always refer to your veterinarian on issues you’re uncertain about. You do not have to become a doctor yourself, you don’t have to learn about diseases. Just learn how a healthy cat looks, and when yours doesn’t look that way— visit a vet! Check if your cat is still grooming. Many cats stop grooming or decrease the amount of time they spend grooming at an older age. Some may stop grooming certain spots for a simple reason: it’s a struggle to reach them. What can you do? If you see problems, visiting a vet is always a good choice, but you must also bear in mind that decreased grooming might be a sign of stress. Stress can be minimized by making some arrangements in the house for feline comfort. Additionally, you must accept that your cat will potentially need combing. If your cat’s coat has gone ungroomed for so long that it’s covered in mats, do not hesitate to ask for professional help. Reduce your cat’s stress. Can cats have stress? Of course! They’re like us in many ways, both internally and externally, and they also experience stress. Some stress is okay, but if it becomes chronic, there is a problem. There can be numerous sources of stress for your cat, but what applies most commonly to older cats is boredom, issues with keeping a healthy distance from other pets in the household, and lessened ability to cope with the environment if their mobility and physical senses decline. Learn more about stress in cats and how to deal with it here. Keep your cat active. Remember when we told you to get more of everything so that everything is closer? 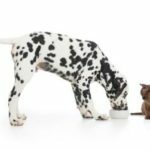 That isn’t because cats don’t need to move as they get older, it’s because they are unwilling to do so; however, it is still important for their health. You can get your cat active in several ways, the most practical of which is the good old toy on a leash. Keep activity in moderation, though, as the difficulty level must be appropriate for your particular cat. Play sessions are best kept short. A few minutes at a time are fine for cats, and better if they are frequent. Of course, there are plenty of other ways you could improve your cat’s well-being, but the above is a good place to start your journey. Hopefully, you’ll still have plenty of time left to enjoy with your cat.